Malik Morcha (from Tarakzai clan of Mahmands) was the progenitor of the Khans of Lalpura and Morcha Khels. Malik Morcha was a contemporary with Mughal Emperor Akbar. In 1586 A.D, he joined by the other Ghoria Khels , having nominated Jalala (son of Pir Roshan), their leader, revolted against Mughals and stormed the fort of Bagram (Peshawar) killing Syed Hamid , the Mughal faujdar. Later Akbar won him over by conferring on him honours and awards. He along with his other family members, joined the Mughal service. Later he was appointed commander of the Mughal fort at Dakka, of which he and his sons acquired the hereditary command. The Morcha Khels thus became leader of the whole tribe. 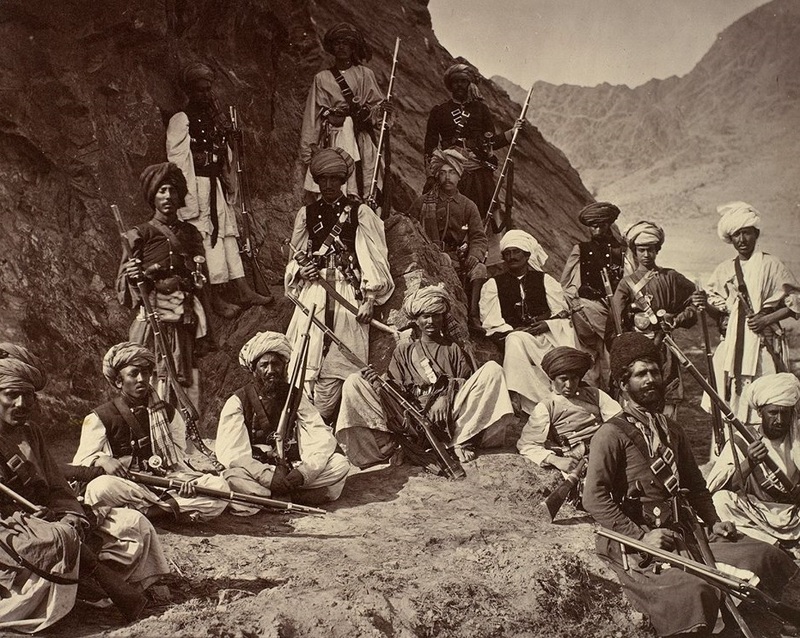 Their exceptionally favourable location for harassing, simultaneously, Nangarhar and the Peshawar plains and closing off several trade routes from Kabul to India, induced the governor to confer upon the Morcha Khel leaders large and valuable 'jagirs' and to permit them to levy heavy tolls on tracks and rivers so as to stop their marauding habits. On top of it, the imperial service and favours, rapidly eclipsed rival leading families. His son Kalandar Khan, who on his death, was succeeded by his sixth son Shat Khan, followed Malik Morcha. 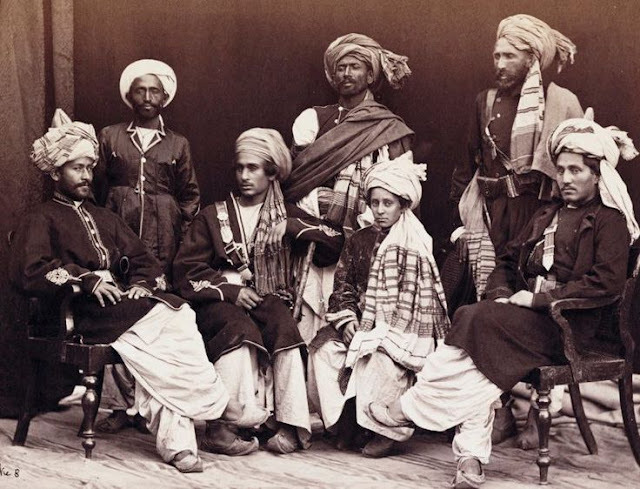 His other five sons remained obscure and their descendants got scattered in Nangarhar. 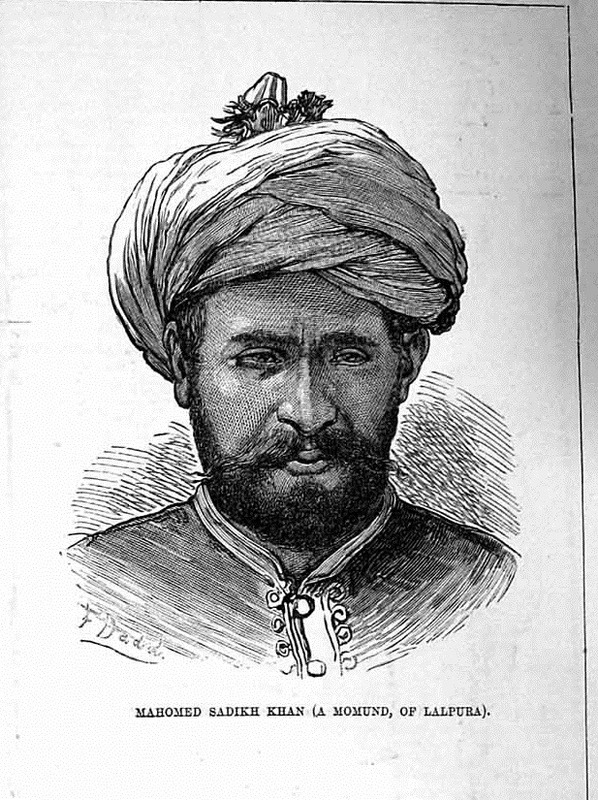 Shat Khan remained in the service of Emperor Shahjahan. He was killed in skirmishes with the Shinwaris. Muquarrab Khan succeeded his father. 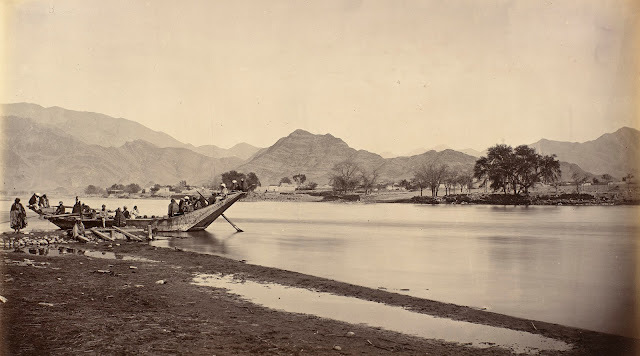 He shifted the village of Lalpura to its present location on the left bank of the river at the request of Mazub Baba, a disciple of Murzad Wali Baba and whose shrine is located below Parchao. Muquarrab Khan had two wives, Jahana, a Morcha Khel and Araba, a Khwaezai woman. By Jahana he had Ahmad Khan, Lashkar Khan and Fateh Khan who constitute the Jahanai Kor. None of them had ever been the 'Khan' of the tribe. 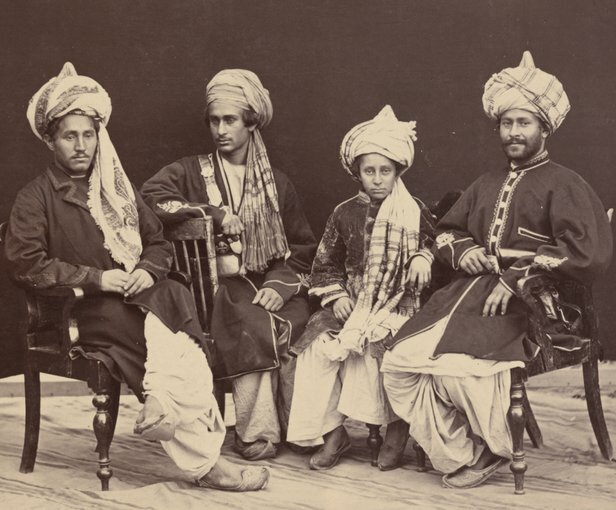 By Araba Muquarrab Khan had three sons namely, Zain Khan, Painda and Hakim. Their descendants constitute the Arabai Kor and are the 'Khan Khel'. Muquarrab Khan had accompanied Nadir Shah to Delhi. His eldest son Zain Khan who is considered the first Khan of the Arabai Kor succeeded him. He, along with his other two brothers namely Painda and Hakim, joined the service of Ahmad Shah Durrani. The last two were killed while fighting in Kashmir. Ahmad Shah appointed Zain Khan Governor of Sirhind. In his absence the 'Khan' of Nawagai attacked Kamali and ravaged the Tarakzi clan. A Mahmand Tarakzaey courier was hurriedly sent to Hind to inform Zain Khan about the situation. It is said that the courier, tired, clad in a worn out coarse blanket and leaving his pair of grass sandals at the door, entered the ' Durbar' hall and sat down at the side of Zain Khan. The astonished beholders kept silent. Zain Khan recognised him from his tribal dress and asked him what he thought of some dancing girls who happened to be singing in a corner of the hall. The courier curtly replied that they did not sing so loudly as the wails of Mahmand women, carried off to Bajaur by the 'Khan ' of Nawagai. Zain Khan, with the Afghan troops, immediately set off to his area. 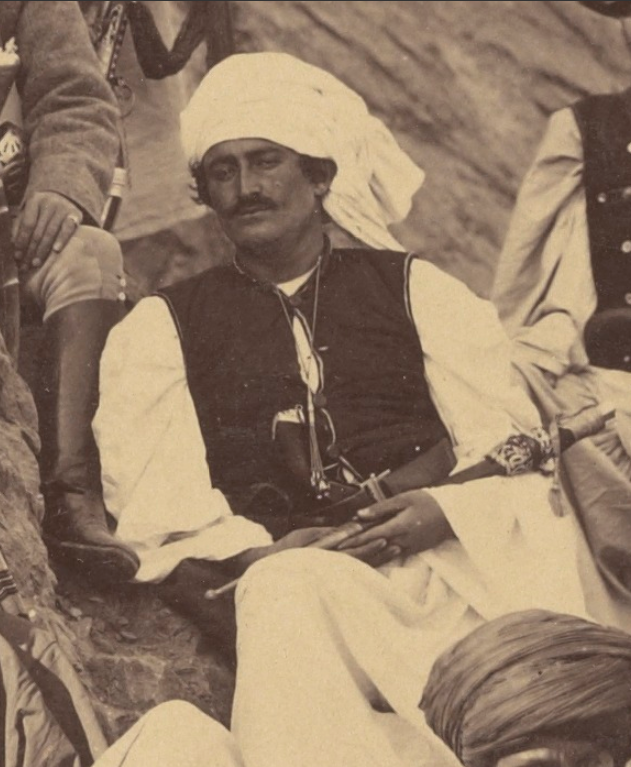 He attacked Nawagai and captured Sardar Khan, the 'Khan' of Nawagai who was later executed. Subsequently, Zain khan was killed at the battle of Panipat. His son Balot Khan who had three sons,1 Arsala, Mazullah and Sadullah, succeeded him. Kabul River opposite Lalpura village (Nangarhar province) 1878-9. Photo by John Burke. 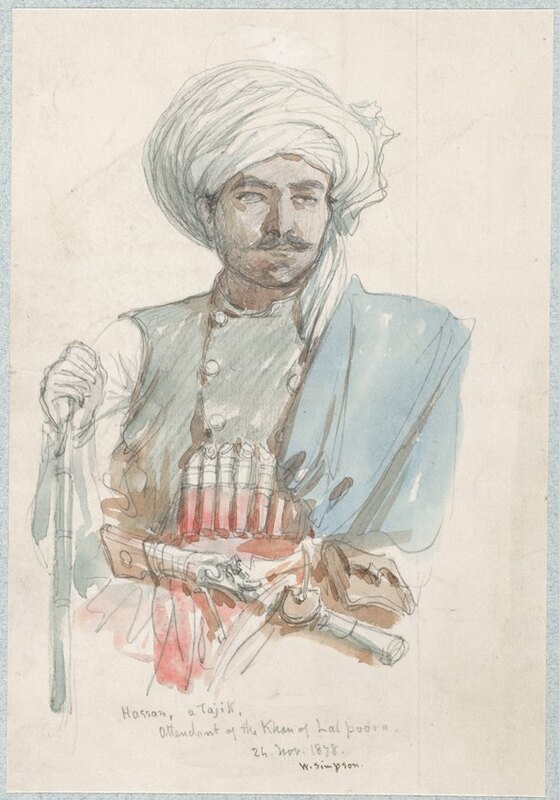 Khan of Lalpura (Upper Mohmands). 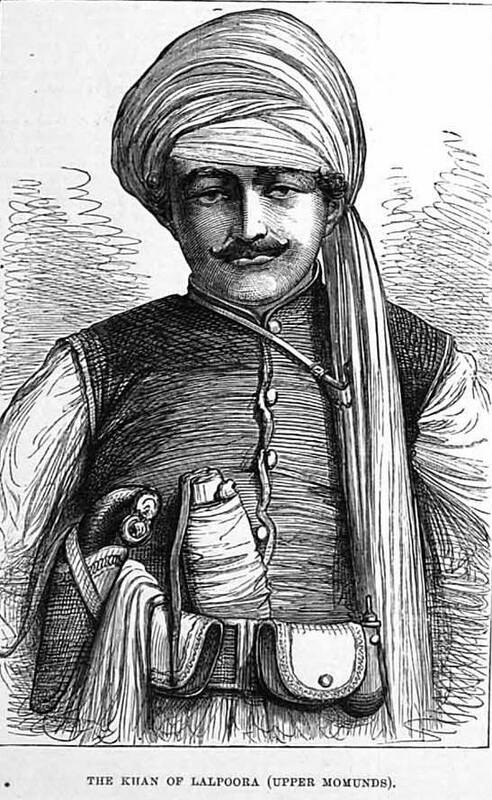 From London Illustrated News, 1879. 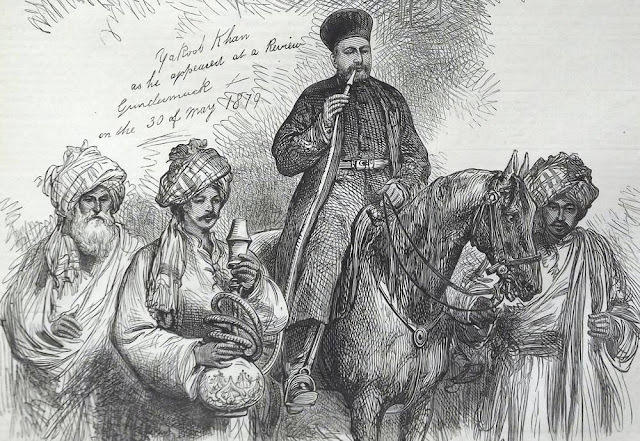 'The meeting between Cavagnari and the Khan of Lalpura at Dakka in February 1879'. 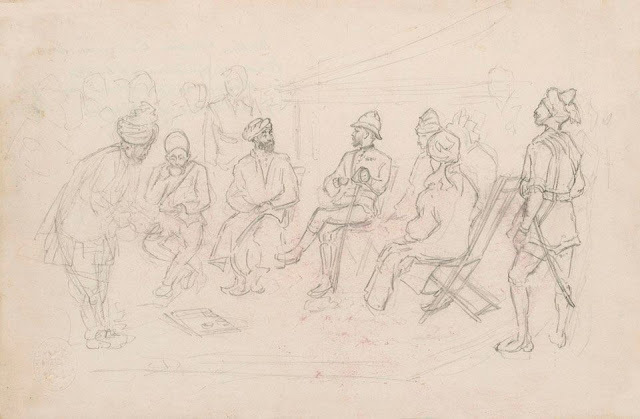 Pencil drawing by Frederick Villiers, special artist of the 'Graphic'.